(Natural News) If you feel like your roast chicken is missing that special something, a pinch of thyme might just do the trick. Now, you could go to your local farmers’ market to purchase a small bundle of thyme… or you could grow it yourself in your very own backyard. Not only is this aromatic, flavorful herb a great addition to any dish, but it’s not that difficult to grow. According to RodalesOrganicLife.com, there are over 400 varieties of thyme, with those varieties falling under either ornamental thyme or culinary thyme. If you’re growing thyme for kitchen use then the most common and popular types are French or common thyme, lemon thyme, and caraway thyme. 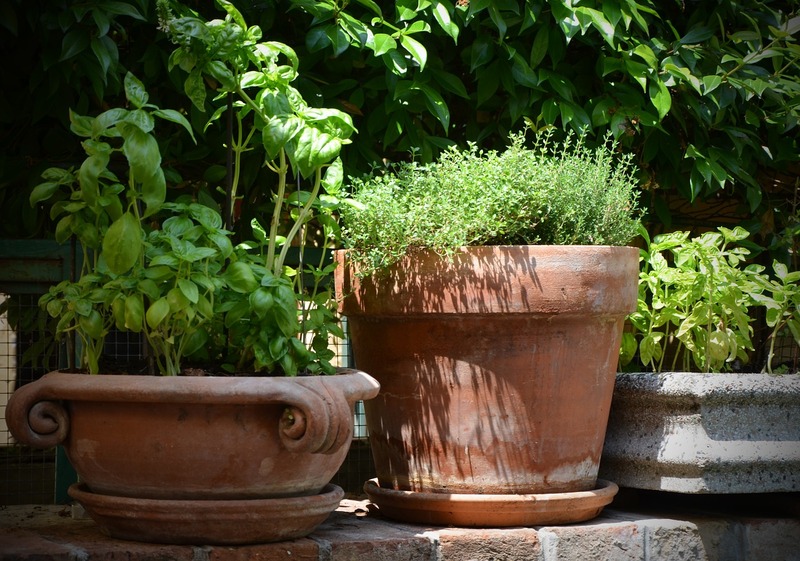 Whichever you pick, the best part about these hardy herbs are easy to grow but are slow. Thyme takes anywhere from 14 to 28 days to germinate. When you purchase an ounce of thyme seeds, you purchase a packet of 170,000 seeds. Those tiny seeds prefer dry soil, lots of sun, and little water and attention. We recommend that you begin seeding indoors in shallow soil, making sure to space them inches apart so they have room to grow. Thyme in small gardens should be placed nine inches apart, while thyme in larger plant beds should be placed 12 to 18 inches apart. Once they’ve taken root you can move them outside for better exposure to the sun. Thyme can be preserved in a number of ways. You can refrigerate it, freeze it, or preserve it in oil. Take note of these extra tips. Little to no covering is best for thyme. If growing them outdoors isn’t a viable option, then placing them indoors under standard fluorescent lamps will do. Mulch is good for controlling weeds. Thyme seeds can keep for up to three years, so you don’t need to plant them all at once. You can save the rest for a later date. If desired, you can opt to grow your thyme alongside companion plants. Rosemary is a good companion plant if your thyme is being grown inside a container. Tomatoes, eggplants, cabbages, and strawberries are ideal for garden-grown thyme. If your kitchen is your personal domain, then thyme is an invaluable plant. You can use it to give your stews and meats an extra kick. It can be added to butter and even bread. Thyme also pairs quite well with other herbs like oregano and parsley. Really, it’s all up to you on what to do with your homegrown thyme. The best part is that you don’t need to rush to the grocery to buy more once your kitchen runs out of it. You can just step outside into your garden. If you’re not much of a cook, thyme is still an excellent addition to your home. This simple herb offers a variety of health benefits thanks to its antimicrobial characteristics and antioxidants. Drinking a cup of thyme tea can relieve bad colds or bloating. Adding thyme to your diet allows you enjoy its multitude of vitamins and minerals, including calcium, iron, and vitamin A.